After some of the worst weather in recent times the UK has gotten a break this week. 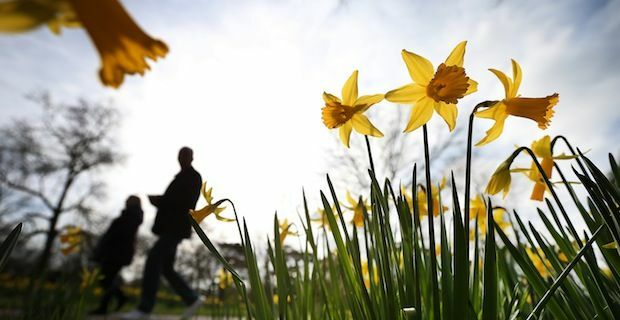 Sunshine and clear skies are to be around all week and Sunday was the warmest day of the year so far with temperatures hitting a balmy 20 degrees in places. Weather forecaster Laura Young delivered the outlook saying "It's nice we can give some good news. This week is going to stay settled, right through to Saturday." The fine weather coincides with the Cheltenham festival which will bring a smile to racing fans and bookies. The going at the world famous track is currently good to soft but that will only improve as the week continues with this dry spell. It is very important that people make the most of this weather as unsettled weather expected to return once the weekend is done. That will unfortunately mean a return to showers but nothing approaching the severe flooding experienced earlier this year.